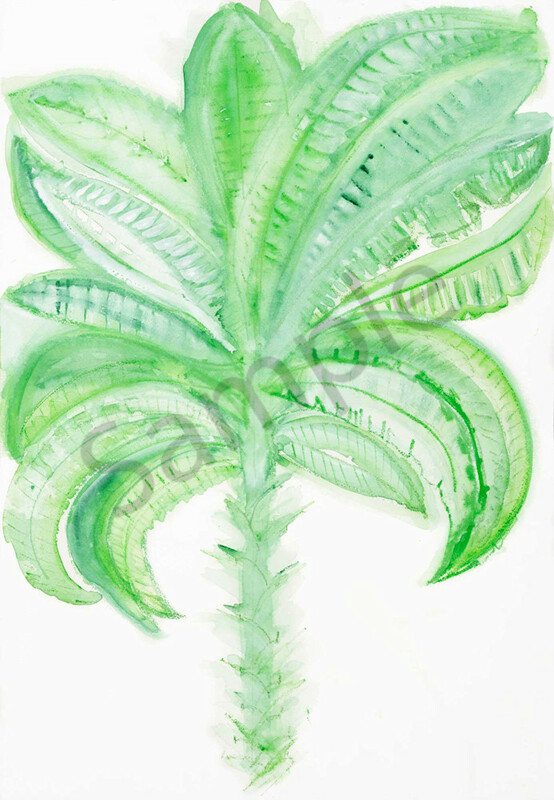 This playful palm tree is very feminine in energy, with flowing leaves and simple brush strokes and pencil lines. It is effortless, how life is when you are on a holiday. Inspired from my time in the South Pacific, this is about how you feel when you let go and step into your body, feel the sand in your toes, the water splash on your face, feel your heart beating. The palm tree brings us joy... the joy of a memory, falling in love, being with someone we love on an island, sharing a meal with the village and seeing things you've never seen before. That is why we travel, to awaken our senses and to wake ourselves up to appreciation, joy, gratitude and see our world at home through a different perspective. Painted with Windsor & Newton watercolours and the original on Arches watercolour paper.